I’ve been a huge fan of Kiah Victoria’s work for a few years now. She initially caught my attention when I saw her appearance in Jay’s “Picasso Baby” performance and she further solidified my attention when I listened to her track entitled, “Home” which was off of her “Look Up” EP released in 2012. Today, I continue to remain confident in her ability to positively impact society through her message and her music. In regards to talent, she has it. In regards to stage presence, she has it. In regards to AMBITION, she has it. I honestly believe that it’s only a matter of time before she’ll be selling out arenas and stadiums across the world. Check out Kiah’s new EP entitled, “Memo” which was released worldwide today and enjoy one of my favorite tunes from the project entitled, “Remedy”. So, what is my process for creating, curating, and developing content? It starts with listening and watching. I’m always looking for ways to learn as much about someone or something as I possibly can. Therefore, I’m always on Facebook, Instagram, Twitter, SoundCloud, YouTube, etc to immerse myself in the stories that allow me to gain a deeper understanding of the driving factors behind people who are doing amazing work. As I came across Diamonde Williamson‘s interview with the founders of The Startup Van, Mark McDonagh and Graham Hussey, Diamonde touched on a few topics which inspired me to publish this quick post. I’ve personally been dreaming and imagining of how our institutions should reflect what was mentioned by Jim for quite some time now. In a world where we have the opportunity to be so connected, why do we continue to operate in silos? As David Leser once said in an interview with Rakhal Ebeli of Newsmodo, “We need more bridge builders!” I couldn’t agree more. In fact, we all play a pertinent role as the bridge builders of society at large! 1. What do we value? 2. What do we give the most energy to? 3. Who do we give the most energy to? 4. Where do we spend the most time? 5. Who do we spend the most time with? 6. What do we spend the most time doing? 7. Who do we associate with? 8. Where do we want to see ourselves in life? Posted in 7 Days of Wisdom, Videos	Tagged addicted 2 success, Authentic Convos, Ayana Gibbs, Ayana Iman, Dr. John Demartini, Grounds For Sculpture, Hamilton, Joel Brown, New Jersey, What Do We Value? This past October 2017, I had the great honor and privilege of being interviewed by the CEO of Newsmodo, Rakhal Ebeli for their Brand Storytelling podcast. Throughout the course of our conversation, we spoke about my work in the fields of branding, content development, and education. In addition, we also discussed the importance of bridging the gap between brands, communities, and culture. I published my first article on LinkedIn on February 15, 2015. To date, I have published 65 articles within the span of 2+ years. Due to this, I want to stress the importance of staying strong and true to the messages we believe in and subscribe to. For years I have been creating and developing content. Although my content may not get many eyeballs…yet, I take the eyeballs that my work does garner very seriously. The content I do have allows people from all areas of life to identify a touchpoint which they may be able to resonate with. This is why creating content is so important when it comes to building relationships and creating opportunities for ourselves and others. Every time we publish an article, podcast, video, etc…it’s an opportunity to either positively or negatively impact someone else’s life. I personally choose the former. As a result, my content is a reflection of my brand, character, personality, mission, and vision. There are always experiences and stories we can share and tell. Those who decide to do so are usually those who end up creating an impact on the lives of others. This is my mission. I discuss this mission in further detail with Rakhal throughout the span of our 18 minute conversation. This conversation is being broadcasted from my home in New Brunswick, NJ and his workplace in Australia. In this interview, I discuss my work with Behind The Hustle, Driven Society, and We LOVE Hub City. I also discuss my admiration for Gary Vaynerchuk and the importance of building brand one interaction at a time. In addition, I share how and when I was first introduced to Fast Company magazine and why I’m inspired by brands such as H&M, Ikea, Warby Parker, and TOMS. Lastly, I share how curating and remixing culture will continue to allow us to form more meaningful and impactful relationships throughout the course of the future. 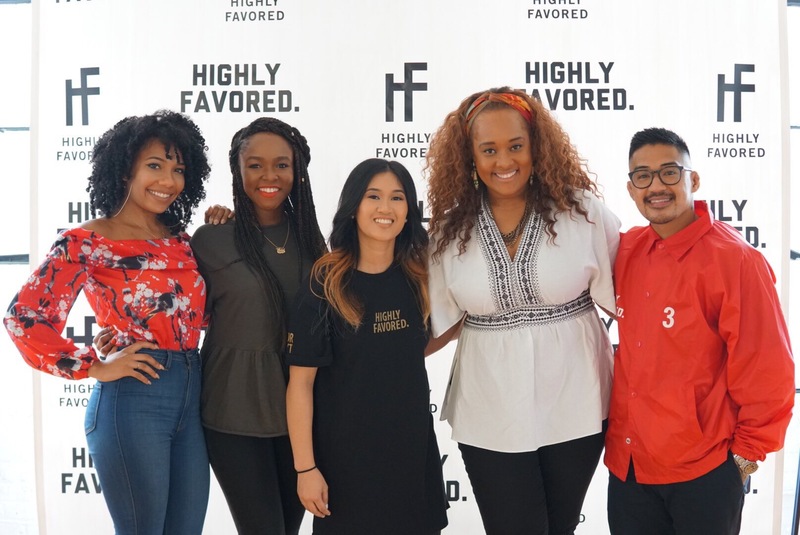 On Saturday July 29, 2017, Wa Boogie of Highly Favored Clothing hosted her first event at Greenhouse Loft in Highland Park, New Jersey entitled, “The Winners Circle“. The Winners Circle aims to empower and inspire up and coming creatives to pursue their dreams and leverage their passions. 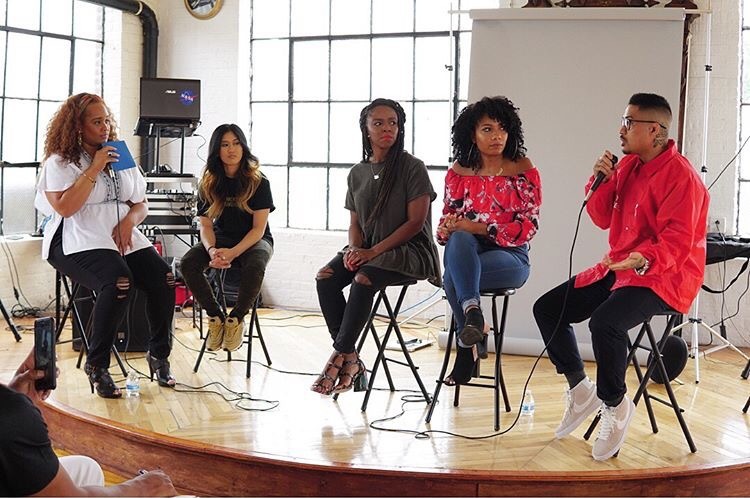 Moderated by Cat Peoples, the panel consisted of Jessica Franklin (Heygorjess), Gia Peppers, and Khalil Malamug who are all respectively building their own brands and creating their own lanes in the worlds of business, fashion, and media. …We got you covered, be sure to check out: highlyfavored3.com!!! 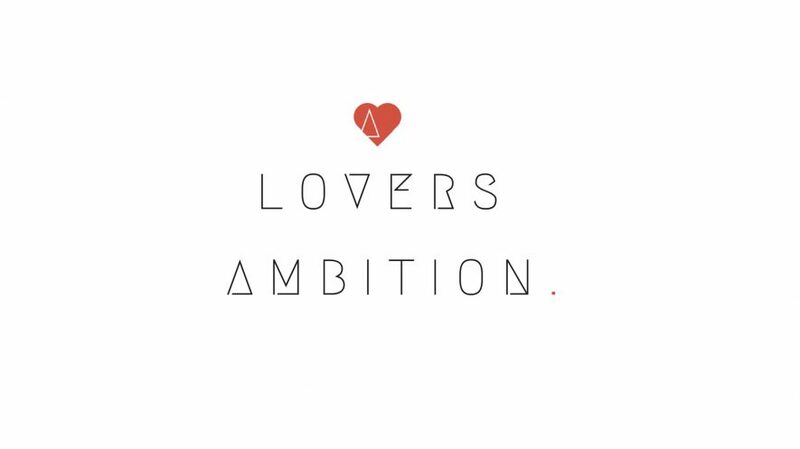 A Lovers Ambition Lifestyle Group is a brand development agency and content platform. We specialize in brand strategy, content development, and storytelling. With an emphasis on culture and lifestyle, the primary focus of A Lovers Ambition Lifestyle Group is to bridge the gap and build value between brands, communities, and culture. Our social mission is to leverage the influence of popular culture to create social change and invest in the collective future of society through the arts, education, entertainment, and leadership. We are driven by AMBITION, fueled by PASSION, inspired by INNOVATION, and suckers for STRATEGY! On Tuesday July 11, 2017, I was listening to Gary Vaynerchuk’s interview with Barney Waters (President) and Patrick Buchanan (Global Marketing Director) of the globally iconic brand, K-Swiss. Throughout the course of this 43 minute interview and call-in session, a lot was discussed. In particular, I was personally intrigued with the overall conversation on entrepreneurship and sneaker culture. Imagine the day we live to see the President of The White House casually rocking a pair of sneakers on a daily basis. What will these sneakers look like? What will these sneakers represent? Most importantly, what brand is going to be responsible for creating these sneakers? Due to my natural curiosity and passion for wanting to bridge the gap between brands, communities, and culture, I ask myself similar questions all of the time. If K-Swiss is to really invest in the philosophy and process of entrepreneurship and thought leadership, I do believe that they can successfully create and dominate their own lane. Will the products have to be stylish and stellar? Absolutely! However, what is it that can potentially bring K-Swiss to the next level? Supporting the culture and lifestyle which they aim to engage with. Selling products is transactional. Yet, engaging with and supporting the development and growth of the culture and lifestyle around those products is transformational. As Gary always says, “It’s thinking marathon over sprint.” Living in accordance to creating our own legacy is determined by our daily actions. When our behavior is in alignment with what we want our legacy to be, our true greatness begins to rise to the surface. So, what might K-Swiss want to consider doing to spearhead a new revolution of emerging leaders? 1. Ask Questions – I believe that all of the right questions eventually lead toward the right answers. Communication is vital and often overlooked. When brands express an interest in actually listening to and learning from their current audience and potential consumers, gains are usually made. Consumers always want the best products. As consumers, we would usually stay with a brand that receives feedback well and improves on something that we like as opposed to spending energy to entirely taking our business somewhere else. It’s natural, we’re creatures of habit…at least for the most part! 2. Address Challenges – With all of the challenges and problems that currently exist across the globe, what brands are endorsing and supporting the thought leaders across various industries who are working to address these challenges? There’s so much great work happening. I’m sure that authors, architects, doctors, educators, engineers, etc would love to be acknowledged, appreciated, and supported for the amazing work that they do on a day to day basis. As Gary often says, “Every business and brand should be thinking like a media company.” I often like to say, “Content creates conversation, conversation creates opportunity, and opportunity creates impact (educational, financial, social, etc). As a consumer, when I see brands that align with and support causes which address challenges bigger than the products and/or services the brand sells, I feel more inclined to trust and engage with that brand in some capacity or another. 3. Provide Tools and Resources – In order to effectively address any problem or challenge, we must always be equipped with the proper tools and resources. This may include capital, insight, relationships, etc. I believe that the brands who are helping to connect the world are also the brands who are helping to change the world. One of the reasons why I believe that content production is so important is because it adds value in ways that products do not. Content can educate, empower, entertain, inspire, and inform. Audio content is just as important as video content which is just as important as written content. Photo via @welovehubcity taken by Dewon Wilson. Where can we create a global community for those who express an interest in changing the world? We all have different duties and hold different positions, roles, and responsibilities throughout this massive planet: We are activists. We are artists. We are builders. We are creators. We are doctors. We are educators. We are entrepreneurs. We are fighters. We are lawyers. We are leaders. We are CHANGE! Regardless of our “title”, we are absolutely the change we wish to see in the world. When we see a challenge, it is up to us to utilize whatever skills, talents, and resources we can bring to the table to address the challenges we see around us. Although as individuals we may fail to solve many, as communities working together, we can and will eventually find solutions to our challenges. We are the exact CHANGE we’re looking for! What are we doing TODAY to manifest our GREATEST potential? Words inspired by Keith Jones II. Photography by Dewon Wilson of Dewon Wilson Photography. (Uh • Kway • Us) Aquaus Kelley is a forward-thinking Brand Strategist, Cultural Curator, and Educator. As the Founder of A Lovers Ambition Lifestyle Group, he specializes in identifying talent and creating opportunities for brand development, exposure, and growth. Aquaus has worked with companies and organizations such as Behind The Hustle, Cornerstone Agency, City Year Miami, and W Hotels. He is extremely passionate about bridging the gap and building value between brands, communities, and culture. His ultimate mission is to use his influence to project positivity across the globe and invest in the collective future of society through the arts, education, entertainment, and leadership. How Might We Value Equity? This post was originally published on LinkedIn on May 7, 2017. 1. Developing goals that will help us fulfill our mission. 2. Connecting these goals to the people, places, and things (resources) that will help us get the job done. 3. Determining the best way to reach out to the people who can help us to accomplish our goals. As I was reading this, it made me reflect on one of my #7DaysOfWisdom videos which I shot back in September of 2016. In this video, I discussed the relationship between sweat equity, relationship equity, and financial equity. In addition to Keith’s “Relationship Action Plan”, I believe that it is highly important for us to understand and value equity. Equity is something which we can all learn and earn. It starts with the amount of work we decide to put in (sweat equity). Through our sweat equity, we will eventually begin to build the connections and relationships (relationship equity) which lead to opportunities to increase our financial equity and the impact we can have on the lives of others. Let’s stay focused and have fun pursuing the things we love to do in life. Live legendary, leave a legacy!